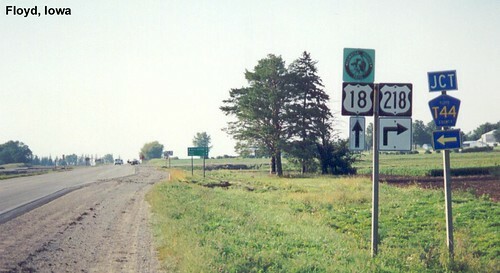 US 18 crosses the Mississippi River and enters Iowa in a valley. 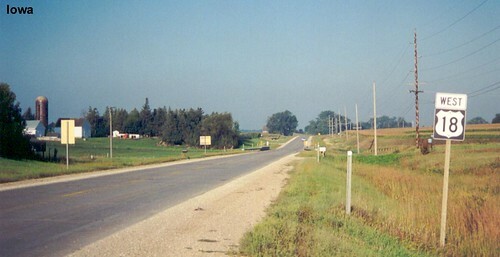 The rolling hills of eastern Iowa. The landscape continues to flatten as we head west.